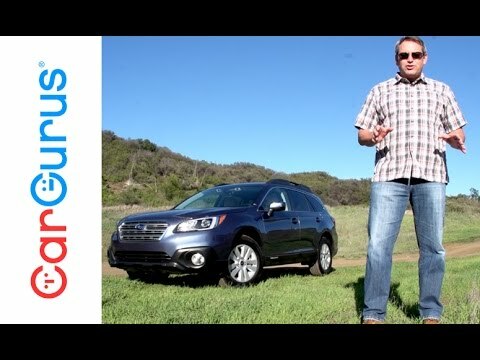 The 2016 Subaru Outback is the wagon that thinks it's an SUV. Roomier than most compact-crossover SUVs, the Outback's Legacy-based platform delivers car-like ride and handling, while its legendary all-wheel-drive system lets it go places many so-called SUVs dare not venture. A luxurious interior and cutting-edge driver-assist technologies only sweeten the deal. My fun, roomy, safe Subaru. My outback is fun to drive, comfortable and easy going. I love the seat warmers (front and back seats). It has great technology options - already built in. It gets great gas mileage - about 30 miles per gallon in the city. Has nice suspension so long road trips are delightful. I have a big dog who I take with me just about everywhere - he loves to ride in the back of the car with easy in and out because of the hatchback. Radio and speakers are nice, I have Sirius radio and it sound beautiful in the car. I also like to listen to audiobooks - and the Subaru connects immediately with my phone's Bluetooth - so I can listen to stories whenever I want to. I love my Subaru. The all wheel drive makes driving in the ice and snow so much easier. The select shift either automatic or manumatic. Driving position is very comfortable. Braking is well above average. Acceleration is well within an acceptable range. The mpg is 31 unless driven hard then it ranges from 21 to 25 mpg. Controls are straight up and clear. The only problem I can see is the time and outside temperature is extremely hard to read. It blends in with the surrounding console. The interior is well integrated and the quality of materials in superior to most cars on the road today. The service is easy and is straight forward. The oil filter is located right up front. According to all the reports, keep the oil changed regularly and the tires regularly serviced, the car should last 12 to 13 years with more than 300, 000 miles. Get a Subaru you will never let it go. It is safe and reliable. Very safe. Love the features of the Subaru. Love the eyesight feature, blind spot feature and backup camera. I have had no problems so far. One of the features I am not a fan of is the lane departure and correction option but you can turn that off. Love the interior very roomy with awesome heated seats in the front as well as in the back. Great performance in the rain as well as snow. Feels super safe! Would definitely purchase another for my family. Presently have about 50000 miles on and have only had oil changes and may need brakes in a few thousand more miles.